UK magazine for the female rider. Covering the challenges from choosing the right bike, to finding gear which fits us & interviews with top riding icons! ISSUE 4 ON SALE END OF JUNE!!! Delivered to your door. Copies also available at Rykas Cafe (Box Hill, Surrey). Hi my name's Vicky. 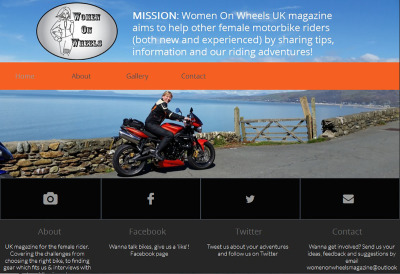 As a female rider myself, I've decided to put together a UK ladies riding magazine. It's called Women On Wheels. It's a hard copy magazine in which I want to cover all aspects of riding. 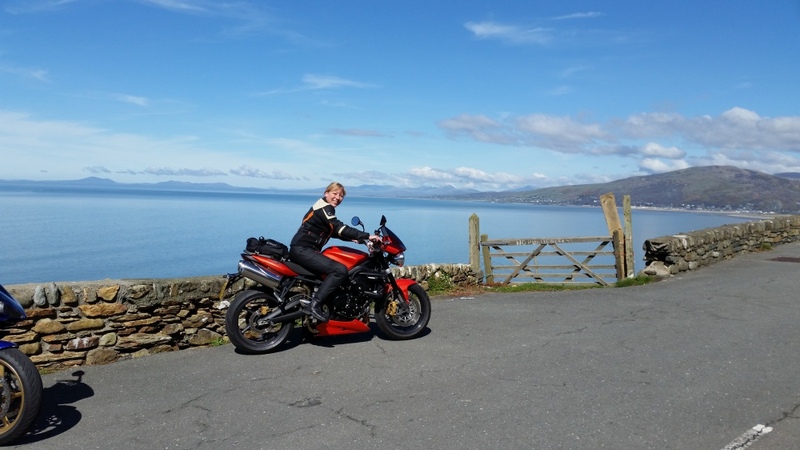 The aim: trying to help lady riders, as others have helped me. 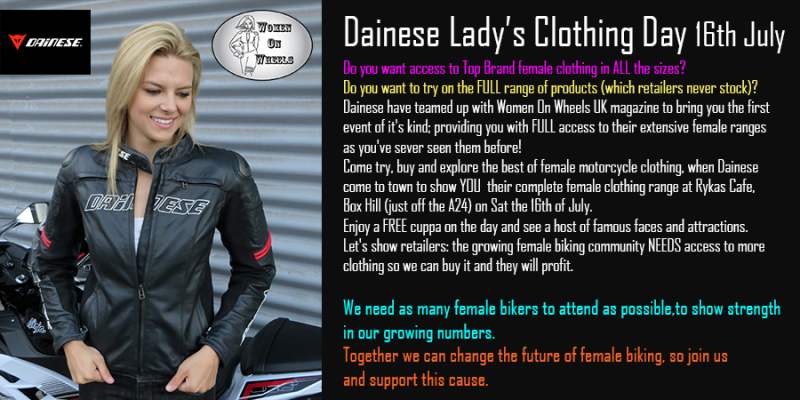 It's an exciting time as the number of female riders is increasing at an incredible rate. So if you're new to riding or experienced, let's share our adventures. Over coming issues, we will talk about all the challenges we face from choosing the right bike, to finding gear which fits us. Not to mention interviews with top riding icons! Hardcopy issues are priced at £3.50 (with 20p per issue sold going to a chosen charity each quarter). Plus £2 p&p if you would like your copy delivered to your door. Digital issues are just £2 and you'll be emailed a link. Payable via paypal (see instructions below) or email me if you would like to pay by cheque or bank transfer. Please allow a couple of working days to receive your magazine. All will be sent 1st class post. Back issues are FREE to view. You can even share the link if you want to. You will be given the option to put a 'Note' on the payment. IMPORTANT Please put your name and address here. This helps me match payments to orders. 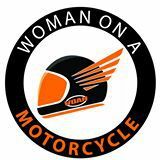 Support Women On Wheels UK magazine by spreading the word and sharing the link to this website. Share on Facebook, Twitter, in Blogs or by email. Recommendations from our lovely readers and business friends are everything and ensure the magazine can keep going, bringing you bigger, better and even more exciting content!